Biography: Kukjin Chun received a BS degree from Seoul National University in Korea and a PhD degree from the Electrical Engineering and Computer Science department of the University of Michigan majored in MEMS. He was an Assistant professor at the Electrical Engineering department of Washington State University and is now a Professor at Electrical and Computer Engineering department of Seoul National University (SNU), where he served as head of the department in 2009-2011. He also served as the director of the Inter-university Semiconductor Research Center of SNU in 2005. He has been an outside director of Daeduk GDS company of Korea. He served as Vice-chair and Secretary of IEEE Region 10 in 2009-2012 and is now the Award Chair. He served as Seoul Section Chair in 2007 and is now a member of IEEE MGA SDEA committee. 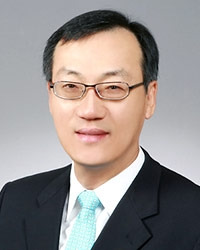 He was the President of the Institute of Electronics Engineers of Korea with the largest membership in 2012 and now a President-Elect of Korea Sensor Society. He has been a member of the National Academy of Engineering of Korea since 2007. He served as an editorial board member of Journal of Micromechanics and Microengineering and is a fellow of the Institute of Physics in UK. 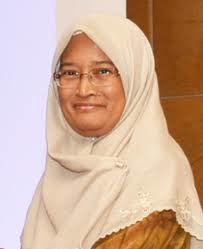 He was a Founding Editor-in-Chief of the Journal of Sensor Science and Technology in 2011 and Editor-in-Chief of the Journal of Semiconductor Technology and Science from 2005 to 2008. He is also serving on the International Editorial Advisory Committee of the Institute of Electrical Engineering of Japan and International Advisory Board member of the LIMMS of University of Tokyo. 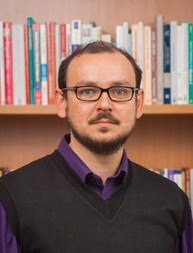 Biography: Leandro Soares Indrusiak is a faculty member of University of York's Computer Science department, and a member of the Real-Time Systems (RTS) research group. His current research topics include real-time systems and networks, on-chip multi and many-cores, distributed embedded systems, high-performance computing, and several types of resource allocation problems in computing, manufacturing and transportation. He has published more than 150 peer-reviewed papers in the main international conferences and journals covering those topics (nine of them received best paper awards). He is or has been a principal investigator in projects funded by EU, EPSRC, DFG, British Council and industry. He serves as his department's Internationalisation Advisor, and has held visiting faculty positions in five different countries. He is a member of the EPSRC College, a member of the HiPEAC European Network of Excellence, a senior member of the IEEE, a member of the editorial board of ACM Transactions on Cyber-Physical Systems, and a member of York's Sciences Faculty Board. He graduated in Electrical Engineering from the Federal University of Santa Maria (UFSM) in 1995, obtained a MSc in Computer Science from the Federal University of Rio Grande do Sul (UFRGS) in 1998, and was issued a binational doctoral degree by UFRGS and Technische Universität Darmstadt in 2003. Prior to his appointment at York, he held a tenured assistant professorship at the Informatics department of the Catholic University of Rio Grande do Sul (PUCRS) (1998-2000) and worked as a researcher at the Microelectronics Institute of TU Darmstadt (2001-2008). Abstract: Evolutionary optimisation is the application of an evolutionary algorithm to iteratively uncover improved solutions to an optimisation problem. Such an algorithm is heuristic in nature, meaning that there is no guarantee that it will ever find an optimal solution, or that it will identify a solution as optimal if it is found. Nonetheless, such approach is widely used in a variety of optimisation problems in science and engineering, where a sufficiently fit solution is acceptable despite of being suboptimal. In this talk, we will show how evolutionary optimisation has been used to improve performance and energy-efficiency of different types of cyber-physical systems such as autonomous vehicles and smart factories. We will provide details on the research achievements that enabled optimisation, including the creation of fast and accurate fitness functions and the distribution and orchestration of the evolutionary pipeline over cloud environments.